Below are some Frequently Asked Questions (FAQs) about Ebola vaccines and drugs that cover whether they are clinically proven to be safe and effective, whether you can be compelled to take them, whether you will be entitled to damages if you suffer adverse events reactions, when the vaccines and drugs will be available, which pharmaceutical companies and military organizations are developing them, where Ebola comes from and how severe the Ebola outbreak is. Q. Are there any safe and effective Ebola vaccines available? Experimental treatments such as Zmapp and Brincidofovir have been given to a few Ebola patients with mixed results. Other experimental approaches, such as Serum from recovered Ebola patients, have been tried out successfully following efforts dating back to a 1995 Ebola outbreak in the Democratic Republic of Congo. Q. Have clinical trials ever been performed on Ebola vaccines? A. Yes. Prior to 2014 all Ebola vaccine trials were discontinued. The three most recent Ebola vaccine trials were suspended, terminated or withdrawn in phase 1 of clinical trails. Q. What is phase 1 of clinical trials? A. Phase 1 is the earliest phase of clinical trials where basic safety is tested. Traditional clinical trials involve three phases. Q. Is it something I should worry about if every one of the most recent Ebola vaccine trials using the traditional clinical trials approach was terminated in phase 1? Q: What kind of Ebola vaccines will there be? A: There are two leading Ebola vaccines candidates. The first one is an Ebola “ChAd3” vaccine. This is developed by scientists from Okairos, a Swiss-Italian biotechnology company owned by GlaxoSmithKline (GSK), and the U.S. Army Medical Research Institute of Infectious Diseases. It uses a cold virus that infects chimpanzees and a Zaire Ebola virus. The second one is called an Ebola “rVSV” vaccine. It uses a vesicular stomatitis virus, which causes a mouth disease in cattle and Ebola . It was developed by the Canadian government and licensed to NewLink Genetics in Ames, Iowa. Q. How much time will the new Ebola vaccines and drugs be in development? A. GSK’s Ebola “ChAd3” vaccine could wrap up a five-week clinical trial in humans in November 2014, enter field trials shortly after and be ready for wide distribution early in 2015. Q. Is five weeks of clinical trials on humans enough for an Ebola vaccine? A. No. Five weeks is not enough to determine whether a vaccine is safe and works. A vaccine undergoes three clinical trials under the traditional approach and takes on average 10.71 years to develop. (N) Also, a vaccine only has a 6% chance of entering the market. Drugs can take 10 to 15 years to develop with 95% failure risk at point of discovery. (4) Ebola is one of the most rapidly fast-tracked vaccines in history. Q. Isn’t Ebola a deadly virus? A. Yes. Ebola is a very severe viral infection with a high death rate. It is also contagious, transmitted by bodily fluids. Q. Are experimental Ebola drugs and vaccines necessary to stop the Ebola outbreak? A. No. The New York Times asked 10 leaders of the fights against smallpox, polio, SARS, rinderpest, Guinea worm and other diseases for their views on how best to fight the Ebola outbreak. All were sure the Ebola outbreak could be stopped without experimental drugs or vaccines. Applying proper protocols on screening, quarantines, protective clothing and travel bans have been effective ways of stopping outbreaks. Q. Are there plans to give these experimental vaccines to many people? A. Yes. Dr. Anthony Fauci, director of the U.S. National Institute for Allergy and Infectious Diseases , told The Canadian Press that it’s “quite conceivable, if not likely” that fast-tracked Ebola vaccines may have to given to entire countries. Q. Could I get Ebola from the vaccine? A. It cannot be ruled out that you will get Ebola from the vaccine. An HIV vaccine, which used the same cold virus as the GSK Ebola vaccine, was halted because it was found to give people HIV. Men who had previously caught colds caused by the same chimpanzee “cold” virus used to make the HIV vaccine were two to four times as likely to become infected with HIV if they got the HIV vaccine. The Ebola “ChAd3” vaccine is made from a cold virus, a chimpanzee “cold” virus, specifically a chimp adenovirus type 3 (ChAd3). The cold virus is used as a carrier, or vector, to deliver material from the Zaire Ebola and Sudan Ebola virus. Q. Surely, someone will stop the Ebola vaccine trial if people end up getting infected with Ebola from it? A. The trial might not be stopped. The HIV vaccine was stopped because it was found to infect people when it underwent traditional clinical trials. But the Ebola vaccine will not undergo the same traditional clinical trials. Q. When was the HIV trial halted? A. The Step trial of the NIAID and Merck HIV vaccine was halted in phase IIb in 2007 when results showed that people were being infected by the vaccine. Q. Why won”t the Ebola vaccine be halted in phase IIb if results show people are getting infected? Q. Could it really happen that something as important as people getting a lethal Ebola disease from the vaccine is not recorded? Q. Does this lack of proper data collection mean that the Ebola vaccine could pass its trials even if it infects people with Ebola? A. Yes. If data on people who may have been infected with Ebola by the vaccine is not collected, then the infections will not be recorded in the clinical trial results, and the Ebola vaccine may well be judged safe enough to enter market. Q. Does that mean an Ebola vaccine that infected people in field trials could be given to the wider population? A. Yes. If the Ebola vaccine passes its rushed field trials, The World Health Organization (WHO) could decide to give the vaccine to wider populations, also in the USA, UK and Europe. Q. Are there any other problems with the Ebola vaccine trials? A. The GSK Ebola “ChAd3” vaccine is based on data obtained from trials in monkeys, which did not show lasting protection. Six of the eight macaques monkeys who were given one Ebola “ChAd3” shot died at ten months. Also, the monkey trial involved a mild lab form of Ebola and not the harsh west Africa type so it is hard to extrapolate the data. Q. Have there been problems with these types of rushed vaccine trials before? A: Yes. Eleven children died during Pfizer’s meningococcal meningitis trial, in which 200 Nigerian children were administered ceftriaxone or an unregistered medication, trovafloxacin, without informed consent. In addition, there were large numbers of adverse events reactions reported for the swine flu vaccine which was also fast tracked and did not undergo traditional clinical trials. Large numbers of children have suffered narcolepsy as a result of the swine flu vaccine. There were also many miscarriages. It is hard to know how many miscarriages were caused by the swine flu vaccine.More than 3,500 post-vaccination miscarriages in the USA may have simply been ignored by the Centre of the Disease Control. A. WHO has said that participants in the Ebola early stage trials must give their informed consent. That means the participants have to be informed of the risks of the experimental Ebola vaccines. Following experiments on concentration camp prisoners by the Nazis, the Nuremberg Codei was drafted to provides ethical guidelines for medical researchers to protect human test subjects in scientific experiments from injury, disability or death. A key principle of the Nuremberg Code—that doctors must obtain voluntary informed consent from the person about to be experimented on, especially when it comes to clinical trials of experimental vaccines. Q. Are people really going to be informed of the risks of the Ebola vaccine? Q. Has it happened before that people who should have given their informed consent did not? A. Yes. An example is the 200 children in Nigeria during Pfizer’s meningococcal meningitis trial. Eleven children died. Q. How can Ebola vaccines and drugs be given to people with so few tests? The World Health Organization (WHO) declared Ebola an emergency of international concern. That means Ebola vaccines and drugs do not have to be demonstrated to be safe and effective before they are given under emergency use provisions. Ebola vaccines and drugs can be developed, tested, licensed and used on people all at the same time. An emergency declaration allows for the criteria for passing Phase 11b and 3 trials could be lowered to a minimum. Q. If I damaged by an experimental Ebola vaccine or drug, will I get compensation? A. It’s not clear. Pharmaceutical companies are asking for global indemnity so that the patients bars the risk. They received indemnity in 2009 for the swine flu vaccine. Q. What about other kinds of tests Ebola vaccines and drugs will be given? A. Apart from the fast track clinical trials, there are plans to test multiple drugs at once in an umbrella study. The umbrella study is a new and controversial type of trial design in which a person on a drug is paired with someone from a comparison group. Also, a step wedge randomised trial is planned involving 8000 people. Q. Are there problems with these studies? Yes, In the case of umbrella studies, subjects have to be perfectly paired for a pattern to be detectible. In the case of stepped wedge studies, there are problems with accurate results. Safety and efficacy results can be easily manipulated to appear higher or lower (N). Also, some Ebola drugs will be developed under the animal rule, such as Tekmira’s siRNA therapeutics. Q: What is the animal rule? A: The Animal Rule provides that under certain circumstances, where it is unethical or not feasible to conduct human efficacy studies, the FDA may grant marketing approval based on adequate and well-controlled animal studies when the results of those studies establish that the drug is reasonably likely to produce clinical benefit in humans. Q. What forms will the vaccines come in? A. Some vaccines like the Rabies and Ebola vaccine to be manufactured by IDT Biologika can be produced in liquid and freeze dried forms. There is also a nasal spray forms. Q. Are any of the Ebola vaccines genetically modified? A. Yes. The “chimp cold” virus in GSK’s ChAd3 Ebola vaccine is genetically engineered to contain both Ebola and Marburg viral DNA. The virus slips into healthy cells as normal cold viruses do, and co-opts their machinery, causing them to pump out the Ebola protein. Q. Are genetically modified viruses and bacteria an indication that these viruses may have come from bioweapons labs? A. Yes. Genetrcally engineering viruses and bacteria to make them more lethal is the purpose of bioweapons research programmes. Q. How much research does the US military do on Ebola? Cumulative research funding from 2008 to July 2014 for Ebola drugs and vaccines has been over $469.3 million in the USA. This funding has supported a pipeline of at least 11 drug candidates. Two entered clinical phase I; three are currently in preclinical development but expected to enter clinical trials soon. At least six other drug candidates previously at different stage of development appear to have been either discontinued or halted in the absence of renewed funding. The funding has also supported eight vaccines. Two are in clinical phase I and six in preclinical development. In addition, from 2000 to 2014, the US government spent almost US$956m to research that has been directly or potentially relevant to Ebola(N). The US government and the military started making vaccines against Ebola and a related virus, Marburg, during the 1990s. The National Institutes of Health came up with a program called Partnerships in Biodefense. Q. Is it true that the US government owns a patent on Ebola? A. A patent on Ebola was awarded to the United States government in 2010. That patent number is CA2741523A1. The patent claims U.S. government ownership over all variants of Ebola which share 70% or more of the protein sequences described in the patent: “[CLAIMS] …a nucleotide sequence of at least 70%-99% identity to the SEQ ID…” Also, the patent claims ownership over any and all Ebola viruses which are “weakened” or “killed,” meaning the United States government is claiming ownership over all Ebola vaccines. The “ownership” over Ebola extends to Ebola circulating in the bodies of Ebola victims. When Dr. Kent Brantly was relocated from Africa to the CDC’s care in Atlanta, samples of his blood were acquired for research by the CDC and the U.S. Department of Defense. Q. 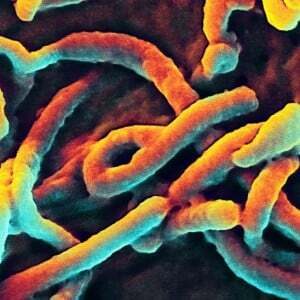 Did the Ebola outbreak have anything to do with a bioweapons labs? A. Dr. Francis Boyle, a scholar of biowarfare and international law at the University of Illinois, who drafted the Biological Weapons Anti-Terrorism Act of 1989, the US implementing legislation for the 1972 Biological Weapons Convention, hassaid that Ebola originated in a US bioweapons lab. Q. Are there other scientists who think that Ebola is a bioweapon? Q. Can I be forced to take the Ebola vaccine or be placed forcibly under quarantine? A. As soon as WHO declared Ebola an epidemic emergency, of international concern it triggered the International Health Regulations (2005) allowing for forced vaccination and quarantine. Most countries have national pandemic plans allowing for the vaccination of 100% of the population, also by force. Also, President Barack Obama signed an executive order #13674, on July 31, 2014, which allows the U.S. federal government to arrest and quarantine any person who shows symptoms of infectious disease. Q. Have any military measures already been applied during the Ebola epidemic? A. Yes. Liberia, for example, declared a state of emergency was declared in early August, with a 9 p.m. curfew and soldiers and police officers patrolling the streets. Communities were quarantined including a part of the Liberian capital called West Point, home to about 75,000 people. Barbed wire was used to lock in the residents without food and water. The military fired on residents, killing a 15-year-old boy and severely wounding a 22-year-old man. Sierra Leone is now under a state of medical martial law, where Ebola victims were hunted down in door-to-door manhunts. Q. Are the Ebola diagnostic kits accurate? A. There are several. The FDA prohibits claims that its Ebola diagnostic kit is safe or effective. The diagnostic kit has never been tested on any Ebola negative specimens. Q. When did WHO declare Ebola an epidemic of international emergency allowing experimental Ebola vaccines and drugs to be given to people? A. On August 8th, 2014. Q. But Ebola is an out of control epidemic, isn’t it? A. No. According to WHO’s Ebola expert Pierre Formenty, Ebola was under control. Responding to a question on whether the situation had ‘got out of hand’ Dr. Formenty replied that the situation was not out of hand at a press conference on June 27th, shortly before Ebola made the emergency declaration. Liberia has lifted the state of emergency in November because Ebola cases have declined dramatically and more than two thirds of the 696 beds in Liberia’s Ebola treatment centers are empty,. New admissions and the number of dead bodies being picked up by burial teams are both falling. Q. Why did WHO declare Ebola an emergency if Ebola was not an out of control epidemic? A. Vaccine makers like GlaxoSmithKline (GSK) may have influenced WHO’s declaration. GSK acquired a Swiss biotech company which had a preclinical Ebola vaccine in 2013. GSK offered these preclinical vaccines to WHO in March 2014 when the Ebola outbreak started. As soon as WHO declared Ebola an emergency in August, WHO gave GSK a contract to produce Ebola vaccines. These GSK Ebola vaccines could not be given to anyone without an emergency declaration by WHO. Q. Is WHO’s emergency declaration a repeat of the swine flu scandal in 2009 when GSK and other pharmaceutical companies were accused of inflating the threat of the swine flu in order to trigger lucrative swine flu vaccine contracts? A. Yes. In 2009, WHO concealed from the public that many of its advisers were on the payroll of pharmaceutical companies, who stood to profit from a pandemic emergency. WHO has also concealed from the public the fact that at least one pharmaceutical company, GSK had a financial stake in WHO declaring Ebola an international emergency. GSK bought a Swiss biotech company with a preclinical Ebola vaccine in 2013 and offered WHO the vaccine in March 2014. However, in an email dated April 3rd, WHO denied there were any vaccines available or potential conflicts of interests involved in its declaration of a n Ebola emergency. Q. Does GSK have a good record? On 2 September 2014, 45 litres of concentrated live polio virus solution were released into a river by the pharmaceutical company, GlaxoSmithKline (GSK), in Rixensart, Belgium. The Argentinean Federation of Health Professionals accused GlaxoSmithKline of misleading participants and pressuring impoverished, disadvantaged families into enrolling their children in clinical trials of the experimental Synflorix pediatric pneumonia vaccine. Fourteen of the children participating in the experimental vaccine trial died. in 2012, GSK was fined $3billion after admitting to the ‘biggest healthcare fraud in history’. GSK paid U.S. medics to prescribe potentially dangerous medicines to adults and children. In 2014, China fined UK pharmaceuticals firm GlaxoSmithKline $490m (£297m) after a court found it guilty of paying out bribes to doctors and hospitals in order to have their products promoted. Q. Are there safer cures for Ebola? A. There are promising cures. These include serum from Ebola survivor’s blood which are being tested. A Japanese anti-viral drug called Favipiravir is being studied in Guinea. It has been given to several Ebola patients and all patients survived. A doctor in rural Liberia inundated with Ebola patients says he’s had good results with a treatment he tried out of HIV drug. Dr. Gorbee Logan has given the drug, lamivudine, to 15 Ebola patients, and all but two survived. That’s about a 87% survival rate. Studies on the clinical impact of vitamin C look promising. Good supportive care can help Ebola patients.